Superior print quality, higher reliability and durability, greater security--your photo ID cards will have all these qualities when you print and encode them with the affordable and versatile HDP5000. Everything looks better with High Definition Printing™. Colours are vibrant. Images are crisp. Quality is second to none. 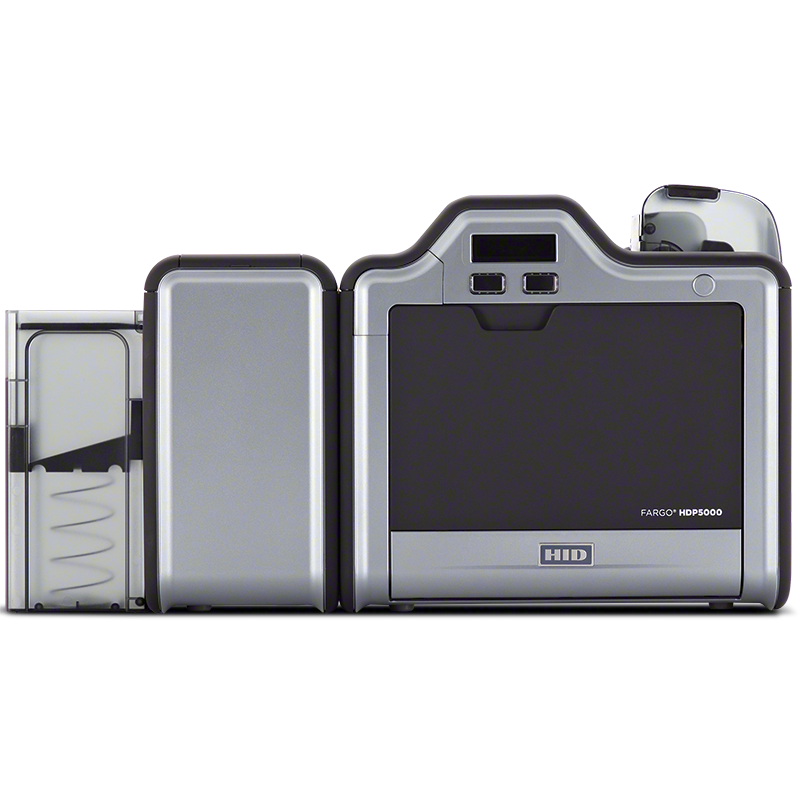 With the Fargo HDP5000, ID cards do more than protect your business — they reflect its pride. 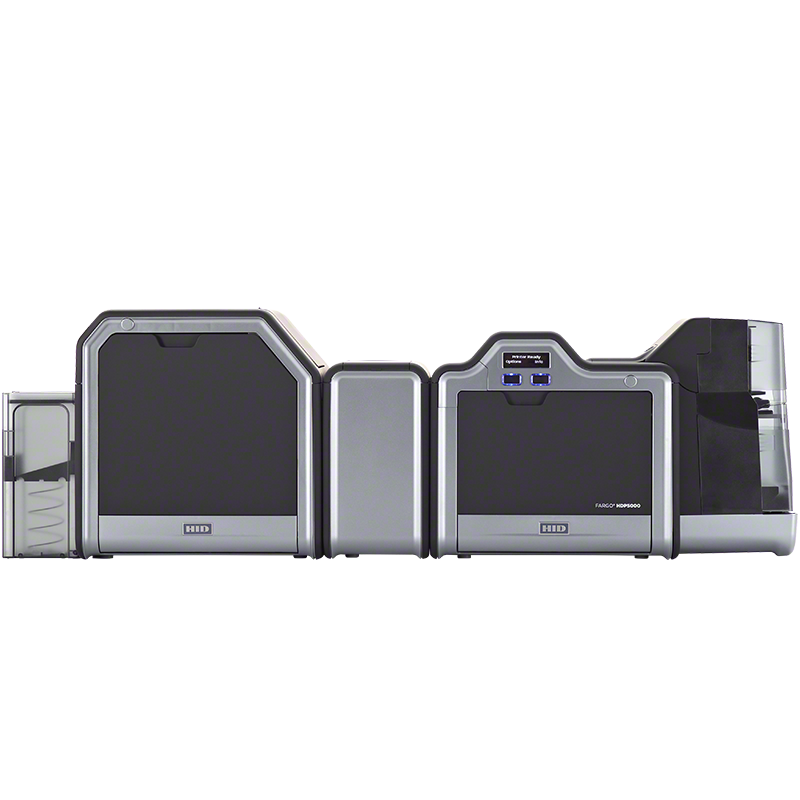 HDP5000 produces ID cards with the highest image quality available. By printing a reverse image on the underside of HDP® Film, then fusing the film to the card surface, the HDP5000 creates an image quality that looks more like a sharp glossy photo than an ordinary ID badge. Printing on film instead of directly on the card means that the uneven surface of technology cards doesn’t compromise image quality. The HDP5000 can print up to the edge of smart chip contacts, and over-the-edge of the card. High-quality images without the high price tag. With the Fargo HDP5000, the price tag looks as great as the cards it produces. High Definition Printing is the most advanced method of card printing available. The HDP5000’s image quality far exceeds other models, but its cost doesn’t. No other card printer delivers High Definition images at this price point, making the HDP5000 feasible for a broad range of organizations. Rely on it for more than good looks. The HDP5000 is exceptionally reliable, which means less printer downtime. Because the printhead never comes in contact with card surfaces or debris, it’s never damaged in the printing process. In fact, it carries a lifetime warranty. — if a counterfeiter tries to peel apart the layers, the image essentially destroys itself. Layered on the highest functionality. HDP Film fuses to the surface of proximity and smart cards, conforming to ridges and indentations formed by embedded electronics. Modular design grows with your needs. the ultimate in card security and durability. Fargo HDP5000 produces one of the highest quality print you can achieve from a desktop card printer. The HDP5000 uses reverse transfer technology to produce a seemless print edge and a high definition print quality. - Most cost effective high definition printer. - Modular design to grow with your needs. - Professional yet refined look and feel. - Lifetime Warranty on the Print Head. - Includes our Service Guarantee.